Morning there! 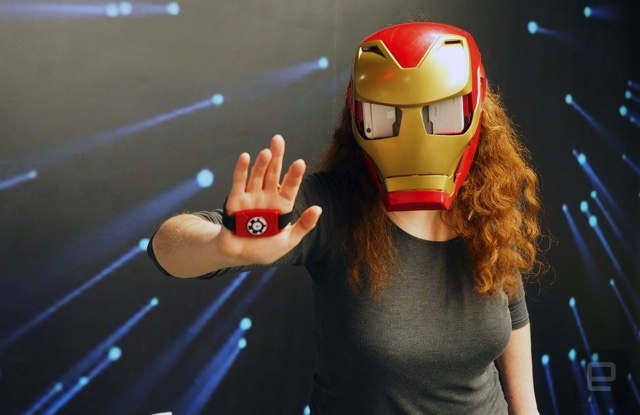 Apple's technically impressive HomePod has literally been hacked into pieces, we get a taste of Qualcomm's potent smartphone chip (coming soon) and strap an editor into an Iron Man toy mask in the interests of Journalism with a capital 'J'. 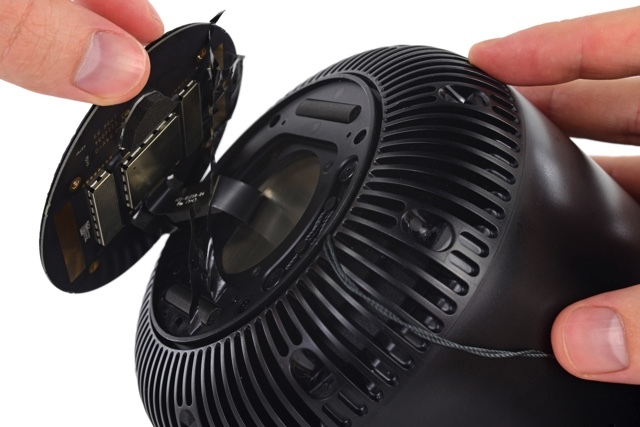 You may not like the thought of paying Apple a pretty penny to fix the HomePod, but you might have to -- it definitely isn't meant for DIY repairs. An iFixit teardown has revealed a clever design that makes good use of a tiny space, but also nigh-on inaccessible. It appears you can pull the fabric mesh off with a drawstring, but almost everything else requires tearing things apart. Many elements are glued on (including the top and bottom), and there's one seam so thoroughly sealed that iFixit needed a hacksaw and ultrasonic cutter to get in. Samsung's incoming Galaxy S9 will be a formidable mobile gaming machine. Qualcomm recently let journalists benchmark the Snapdragon 845 on its own reference smartphone, and the results look promising for the Galaxy S9 and other new phones. While CPU improvements were incremental, despite a switch to new chip designs, Qualcomm's new Adreno 630 GPU performed impressively, especially considering the power draw. The Adreno 630 provides a one-two-three punch for the Snapdragon 845, offering 30 percent better performance and 2.5 times faster display output, all with 30 percent estimated power reduction. While battery-life testing was limited, the chip pretty much smoked all rivals on most benchmarks. The one phone that did best in a couple of graphics tests from GFXBench was Apple's iPhone X. And when it comes to an overall score, the iPhone X with its A11 Bionic processor still blows away the Snapdragon 845 by a good 15 percent on Geekbench's tests. Benchmarks are just half the fight, however. We'll have to wait a few more weeks to see how it all fares in a for-real phone. 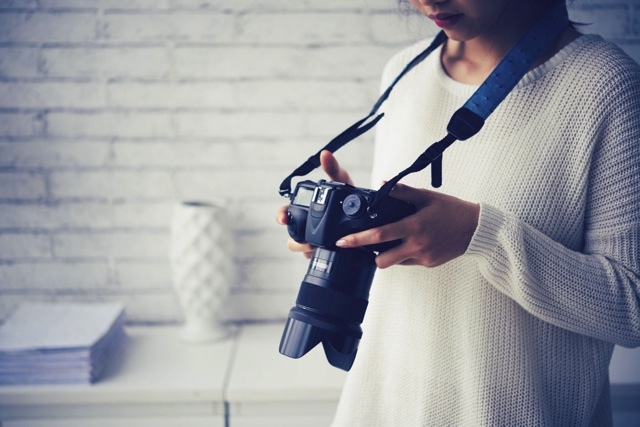 Make your photography truly shine. Last month, we covered the best mobile photo-editing apps, but if you're serious about photography, you'll need tools beyond phone or tablet apps. Professionals rely on software from Adobe and others because of the power these programs afford them. Combined with shooting in the uncompressed RAW format, dedicated image-editing suites allow you to adjust white balance, exposure, sharpness and color at a granular level. Intimidating? Maybe, but it means they can reproduce the image they saw in their minds when they hit the shutters on their DSLR or mirrorless cameras. We've also included some software suites that offer smart ways to organize and share your photos, too -- that's half the point, right? Verizon currently has the most generous unlocked phones policy of all wireless carriers, but, according to CNET, that will be changing soon. In an effort to combat phone theft, starting Monday, Verizon will begin locking the phones it sells to consumers. While the phones will immediately be unlocked as soon as the customer activates service, later this spring the wireless carrier will begin keeping phones locked for a certain amount of time after purchase. Just strap an Echo Dot to your chest and, boom, instant 'Jarvis'. Hasbro's new Hero Vision Iron Man AR helmet tries to make you feel like Tony Stark's alter ego, using a phone to display its own custom HUD, so kids can feel like they're really wearing the armored Avenger's suit. Oh, and a hand-based 'blaster' that you aim with and shoot any in-game drones and baddies. We strapped it on to test it out. The Essential Phone was just the beginning. Google may be taking inspiration from the iPhone X display's notch for the next version of Android. Android Pistachio Ice Cream (the software version's internal name, according to Bloomberg) is to win potential iPhone customers over by offering a similar look to its OS. 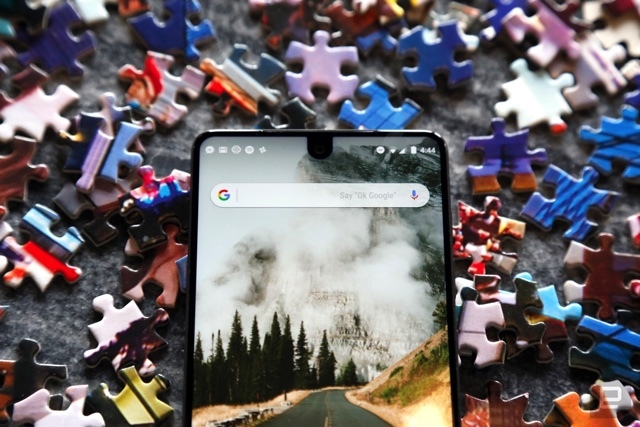 While some, like Samsung, have outright mocked the cut-out, other manufacturers like Essential (above) have embraced it. This move makes it sound like Google expects more of the latter than the former, which means you can likely expect to find more phones with all manner of sensors tucked into the space in the future. Researchers from MIT and Stanford University found three different facial analysis programs that demonstrate both gender and skin color biases. The team looked at the accuracy rates of facial recognition as broken down by gender and race: "Researchers at a major U.S. technology company claimed an accuracy rate of more than 97 percent for a face-recognition system they'd designed. But the data set used to assess its performance was more than 77 percent male and more than 83 percent white." This narrow test base results in a higher error rate for anyone who isn't white or male, unsurprisingly. Art is often about making you look at regular, day-to-day objects in ways you haven't before. Artist and UNBAG co-founder American Artist has certainly done that with Black Gooey Universe, showing at Brooklyn's HOUSING studio until February 16th. 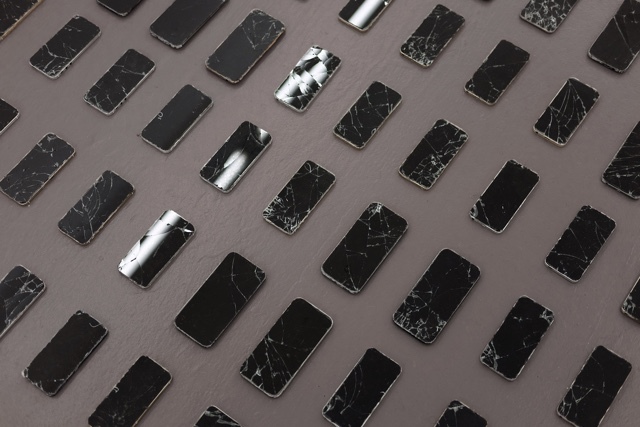 The exhibition features pieces like "Mother of All Demos," named after the famous XeroxPARC GUI demo, and "No State," a 12-by-12 grid of shattered iPhones. The idea with the exhibition and accompanying essay is to show how the evolution of such devices relates to the African American experience.